Nalco Water partners with tissue and towel producers worldwide to deliver exponential value, through our reliable, cost effective and safe solutions. With a 90-year track record, Nalco Water is the world’s leading process and water treatment solutions provider. 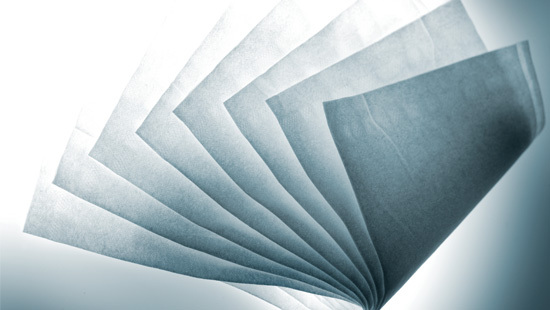 Our focus on innovation consistently brings new technology to the tissue and towel industry, securing dozens of new patents each year. Nalco Water is your partner for profitable growth. We gain considerable insight from our customers — the challenges you face and the results you want. This knowledge drives our innovation. By carefully designing solutions to align with your key business drivers, we respond to your specific concerns so you achieve the results you need. TULIPTM creping technology is a formulation of unique chemistries working in combination with service and monitoring tools. This solution has been specifically designed for delivering softer tissue with energy and cost efficiency. 3D TRASARTM technology is Nalco Water’s integrated approach to water treatment, delivering optimized, cost efficient and sustainable solutions to provide peace of mind. Combining Nalco’s unique chemistry with real-time monitoring tools enables a quick response to cooling water, boiler and reverse osmosis (RO) system problems, helping reduce total cost of operation. OxiPROTM antimicrobial control technology combines Nalco Water’s proprietary tools, individually tailored chemistries and local application expertise to proactively monitor and control microbial deposits. With wet-end compatibility, this solution maximizes machine efficiency, improves operational safety, protects the machine asset and reduces total cost of operation. Improved DAF Control Delivers Water Savings and Minimises TCO. A TW report.